Previously, in eoStar, when multiple promotions were associated with a product or products, the program would prioritize the promotion with the greatest discount. With Stackable Promotions, multiple discounts can be applied to products without disregarding any of the other promotions applied. This feature works in concert with eoStar’s standard promotions. 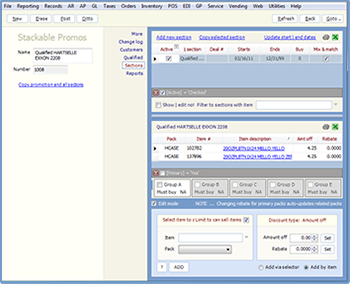 Order partitioning, or the splitting of an invoice into multiple orders, is now available in Tel-Sell order entry in eoStar. 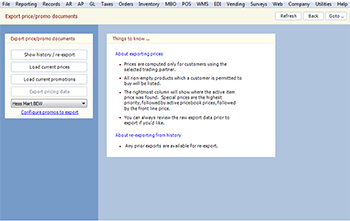 Now, desktop users will no longer be required to manually input multiple orders. This new feature mimics the behavior of the Presales mobile applications. 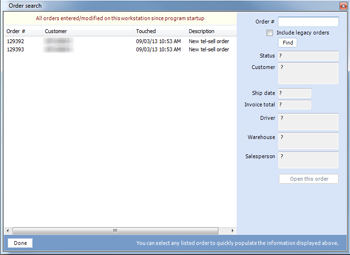 A new plugin has been added to eoStar to facilitate the transfer of purchase order information from Boulevard to eoStar. The plugin simplifies the ordering process by importing your purchases for the supplier, eliminating the need to manually enter them within eoStar. For more information about this plugin, please visit the wiki page or click here. Additional information has been added to the wiki regarding EDI Setup as it relates to the communication of pricing data via looping scenario 2. To view this new material, please visit the wiki or click here. Rutherford and Associates will be attending the NBWA’s 76th Annual Convention & Trade Show, at Caesars’ Palace in Las Vegas, from September 29th through October 2nd. Take this opportunity to meet the team from Rutherford and experience new features and functionality first hand. For more information about the NBWA, click here. eoStar will have a booth at the SCOL Conference from September 10-13th and will be leading a discussion panel titled “Systematically Managing the Complexity with Route Accounting Software”. This presentation will cover how a distributors’ IT system can enhance their ability to organize and manage the complexity they face in a quickly changing market. For more details about the SCOL Conference, click here. Rutherford and Associates has removed the password restrictions on the eoStar wiki. Login credentials will no longer be necessary to view training material on the site. However, in order to view eoStar release notes, users will still need to login to the site. If you have any questions or comments, please contact Rutherford support.